Recently the lovely people at teapigs sent me a sample of their Matcha Tea, the timing was perfect as I'd been reading up on it and was dying to try it. I'm a herbal tea addict - seriously, if you look in my cupboards, I have a ridiculous amount, my favourites are green and nettle tea (straight up, no flavourings) but I have all sorts of variations for when I do get bored of just drinking plain old nettle and green tea. I work from home and my office is in part my kitchen, which means that my "stretching my legs" time is quite often a wonder to said tea cupboard which happens at least every few hours, I try and avoid caffeine and dairy and have done since I was about 14 and it was then that I got into herbal teas and I've been addicted ever since, I can't stand normal tea anymore plus I really do think that they hold a multitude of health benefits depending on the type you drink, I'll do a separate review on some of my favourites. So, anyway, onto the Matcha Tea, Matcha Tea is basically the ground up green tea leaves, the theory is that you are gaining the goodness direct from the leaves, rather than boiling a tea bag and throwing away the good bit (the leaves), one serving of this tea is the equivalent to drinking 15 cups of regular green tea which is an absolute win. It comes in a fine powder form which you then either add to boiling water and mix (they recommend whisking this in using a one of those little hand held whisks that you use to make lattes!) Or, adding this to warm milk to make a latte or adding to a smoothie or milkshake which would be great for those that aren't into the green tea taste. What do you think, would you try this? What are your thoughts on a regular tea review? 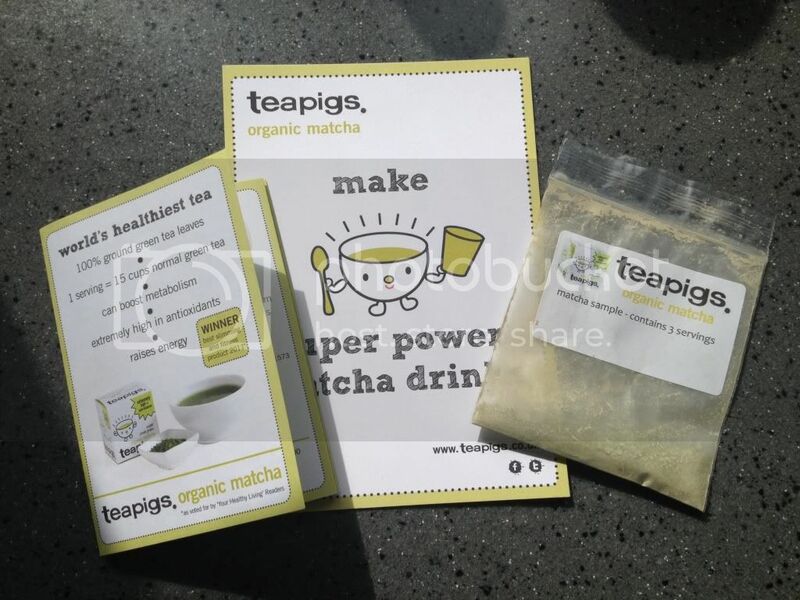 1 comment on "teapigs Matcha Green Tea #matchamay"